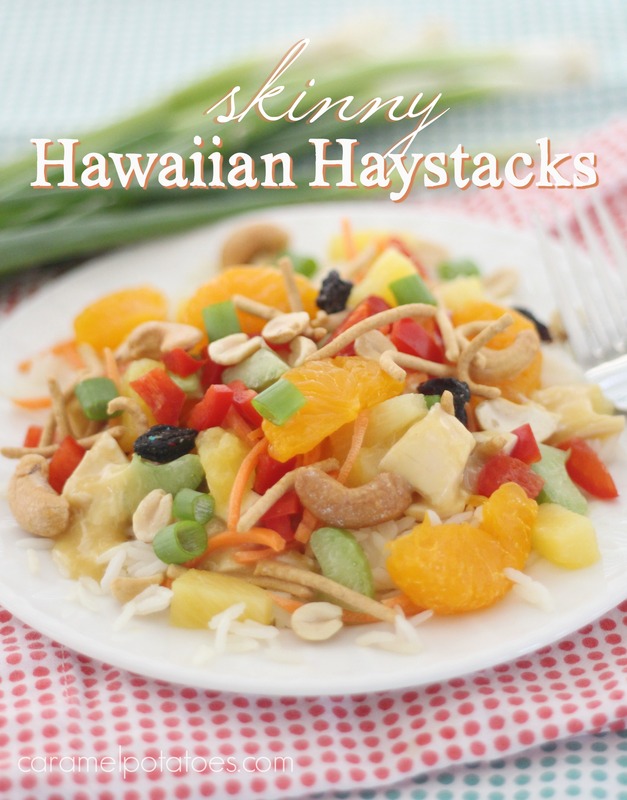 I think most of us have had one version or another of Hawaiian Haystacks – there are as many different ways to make them as there are people to eat them! 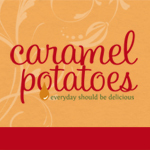 However, this is one of our family’s favorites and of course we think it is the best; so it absolutely needed to be published on Caramel Potatoes. I call it skinny because the sauce is very simple and light – no sour cream, no cream cheese. 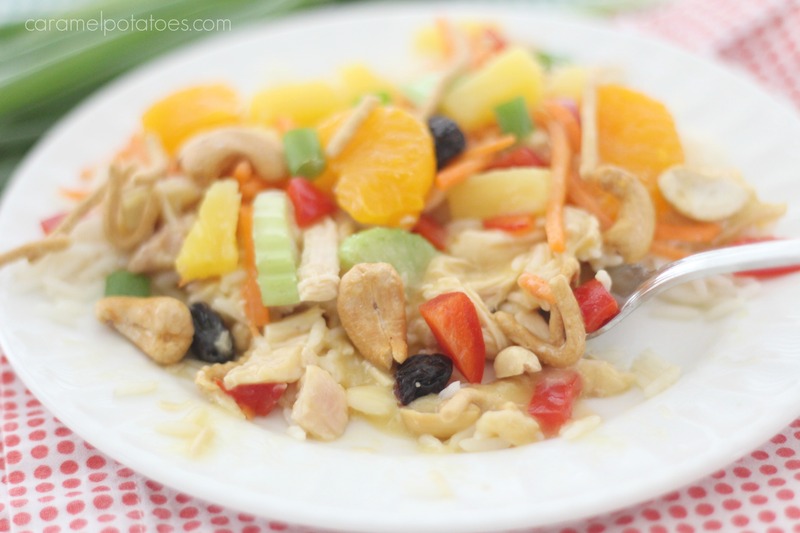 Many of the versions of Hawaiian Haystacks I have had are more savory (tomatoes, olives, cheese) – this one is more fruity and tropical. We love it. I personally could eat this all week (sometimes I do)- I love the fresh flavors and all the yummy crunch. Recently my grown son was home for a few days and trying to get in all his favorites requested this. The recipe below serves about 4, so you’ll want to double it if you have more or if you want to have leftovers. The fun thing here is this is quick, easy, and you can totally make it your own! Heat the soup with the water and soy sauce. Add the chicken and black pepper to taste. Heat until warm. Spoon the sauce over the rice and top with your favorites. In my opinion the correct order to stack is: chow mien noodles, rice, sauce, fruit, veggies, and finally the nuts. However, no matter how you stack it up, you’re going to love it! I’m thinking a little avocado would be good in there. What’s your favorite topping? ?